During February and March Short-eared Owls can be found in large areas of tall grass, agricultural land, and marshes around Pennsylvania and much of the northern half of the country. One of the best locations in PA to see Short-eared Owls is Middle Creek WMA on the border of Lancaster and Lebanon Counties. Unlike other owls, where you either have to call them in at night or find them on roost, Short-eared Owls will come out during the evening as the sun is setting and hunt over fields like a harrier. 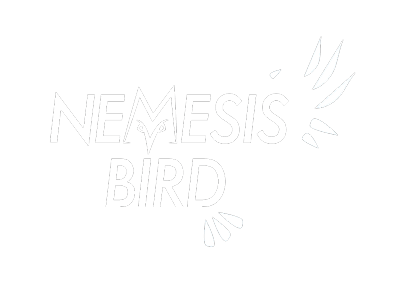 It is often easy to stand at a distance and watch the owls hunting without interfering. Not only does Middle Creek have a large population of wintering Short-eared Owls but there is also great roadside viewing areas to watch the owls from. 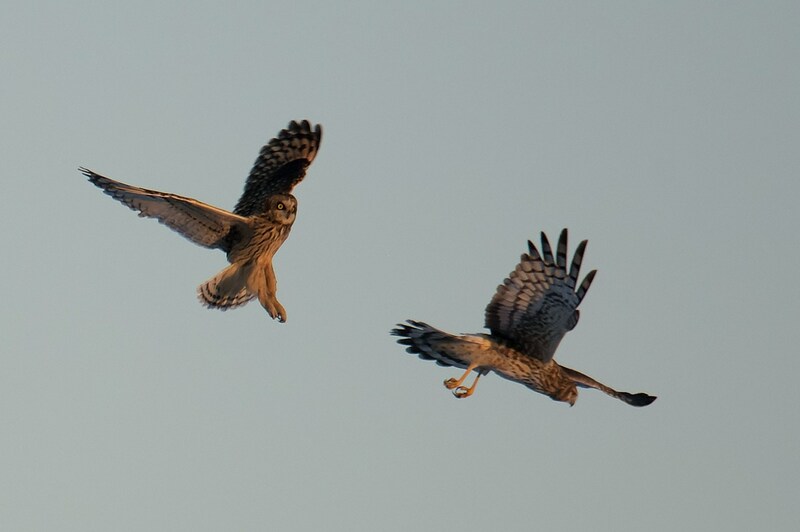 If you stand at tour stop 3, sometimes as many as 10 Short-eared Owls can be seen at once! I have been to Middle Creek many times to see the owls and highly recommend a visit. I saw my lifer Short-eared from tour stop 3 and I can’t imagine a better location than this if you want to get really great looks of the owls as they hunt over the fields, usually mixed with Northern Harriers. 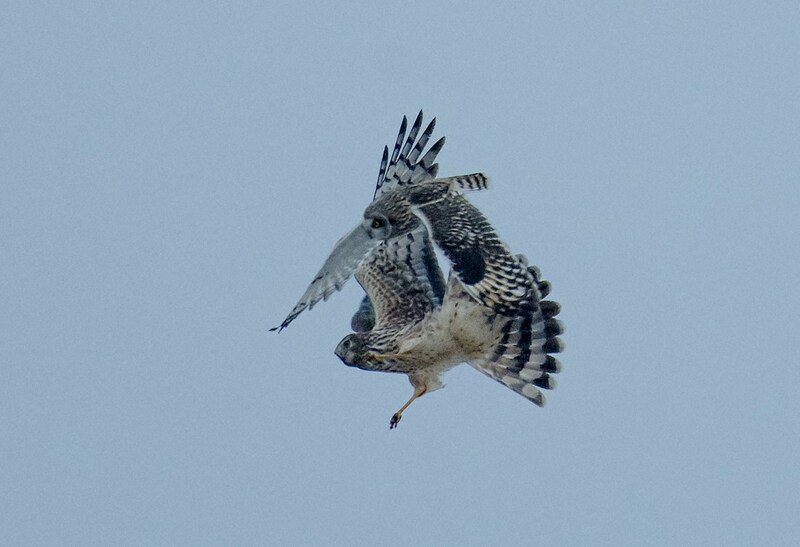 Bob Hench, a birder/photographer friend of mine has been visiting the WMA a few times a week recently and has manged to capture some awesome photos of the owls and the harriers interacting. 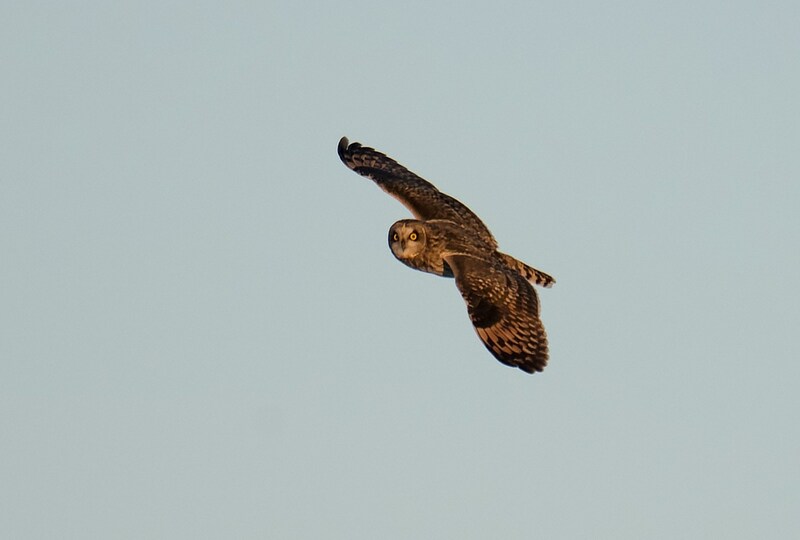 I think these photos really show how incredible the Short-eared Owl show can be most evening this time of the year. Bob said the owls have been out as early as one hour before dark, and hunting the fields right near tour stop 3. Good luck if you go for a visit and be sure to let us know what you get to see!